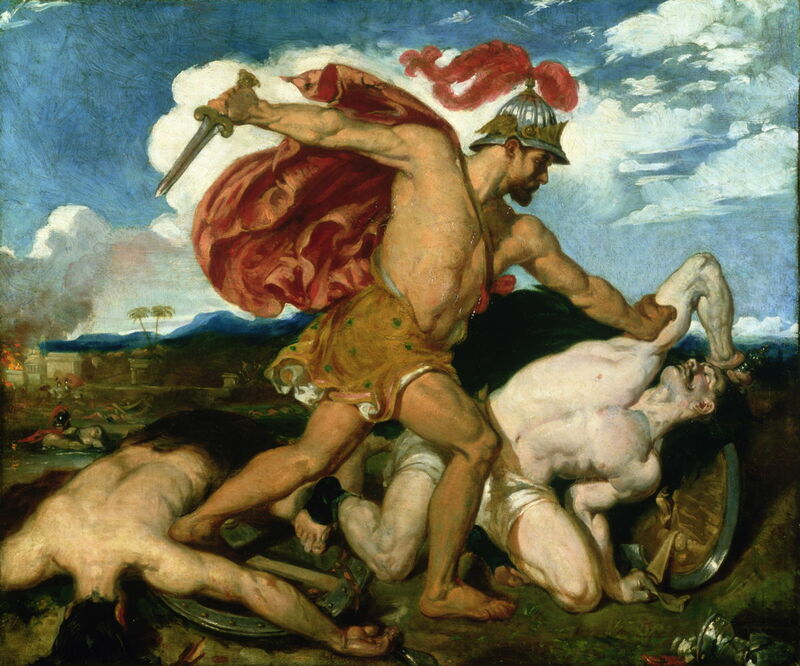 This is an index of the 30 well-known stories and narratives from Biblical sources (including accounts of the lives of the Saints) which are covered in articles about narrative painting on this blog. These are arranged in alphabetical order, for each giving the type of narrative and its origin, links to the paintings featured here, and a ‘lead’ example painting is shown. There are separate illustrated indexes for other sources of narratives, e.g. classical. 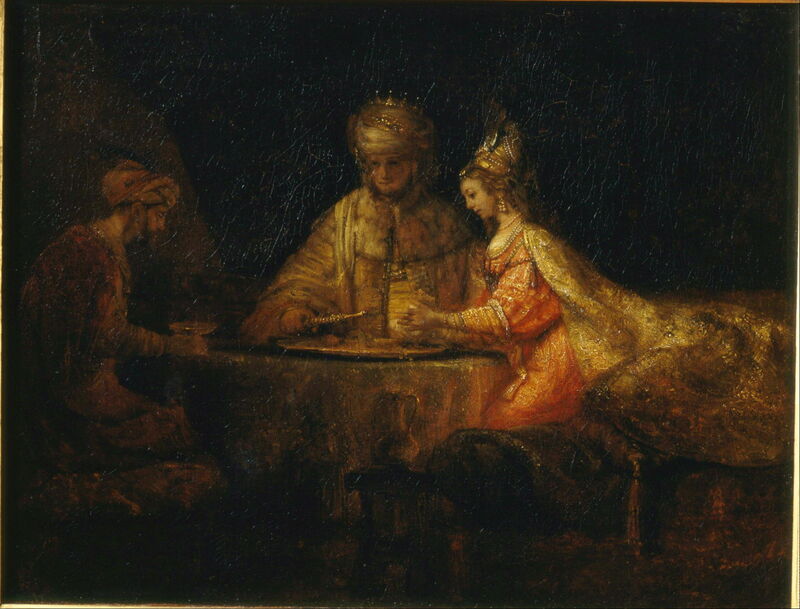 Rembrandt Harmenszoon van Rijn, Bathsheba with King David’s Letter (1654), oil on canvas, 142 x 142 cm, Musée du Louvre, Paris. Wikimedia Commons. Rembrandt Harmenszoon van Rijn (1606-1669), Belshazzar’s Feast (c 1635-1638), oil on canvas, 167.6 x 209.2 cm, The National Gallery, London. Wikimedia Commons. William Etty (1787–1849), Benaiah (small copy) (1829), oil on canvas, 63.7 x 80.5 cm, York Art Gallery, York, England. Image courtesy of York Museums Trust :: http://yorkmuseumstrust.org.uk :: Public Domain. 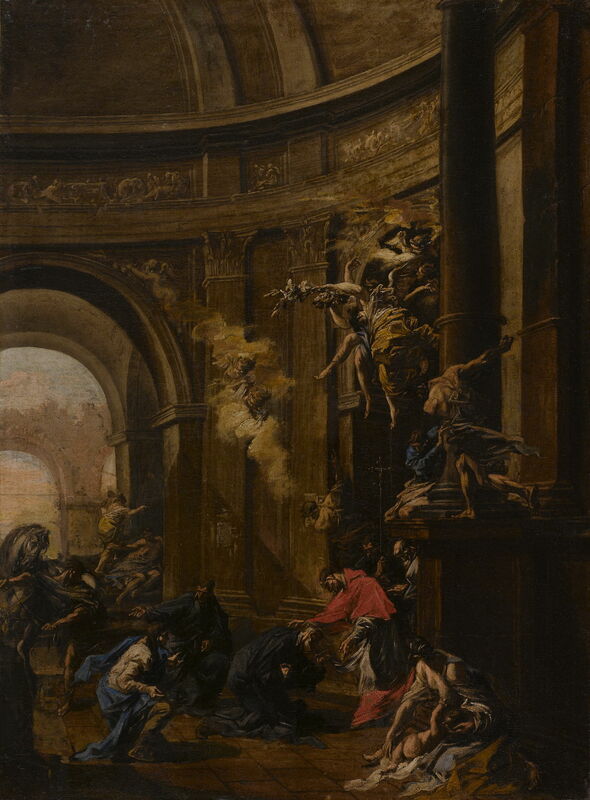 Alessandro Magnasco (1667–1749), Saint Carlo Borromeo Receiving the Oblates (date not known), oil on canvas, 98.8 x 73.5 cm, Museo Poldi Pezzoli, Milan, Italy. Wikimedia Commons. 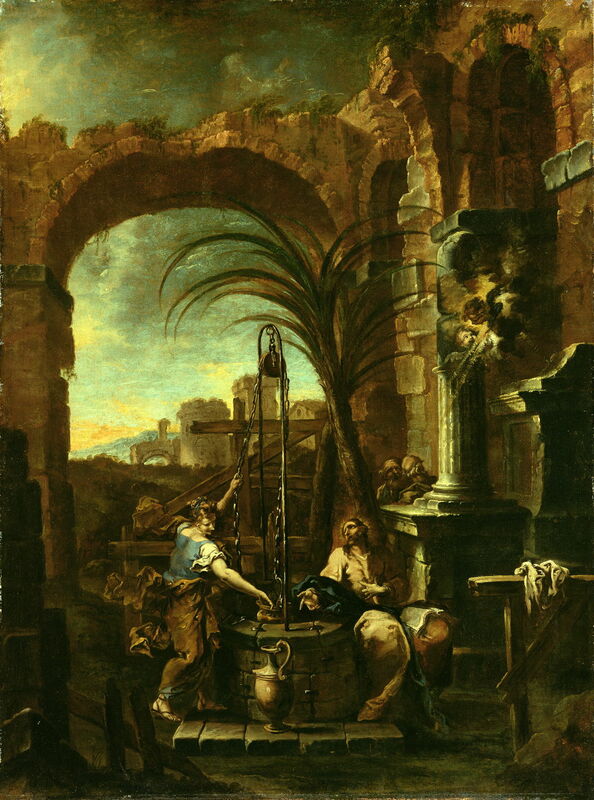 Alessandro Magnasco (1667–1749), Christ and the Samaritan Woman (1705-10), oil on canvas, 144.8 x 109.2 cm, The J. Paul Getty Museum, Los Angeles, CA. Courtesy of The J. Paul Getty Museum. 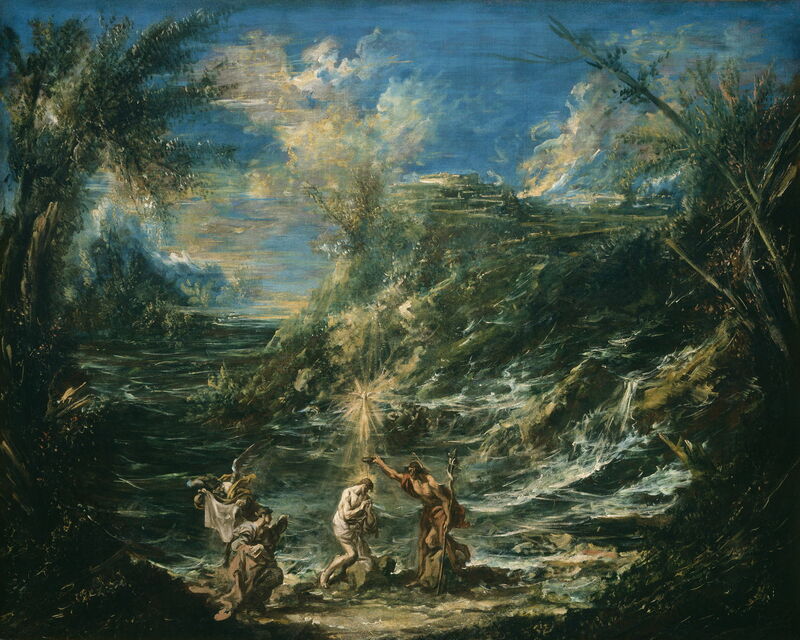 Alessandro Magnasco (1667–1749), The Baptism of Christ (c 1740), oil on canvas, 117.5 x 146.7 cm, The National Gallery of Art (Samuel H. Kress Collection 1943.4.27), Washington, DC. 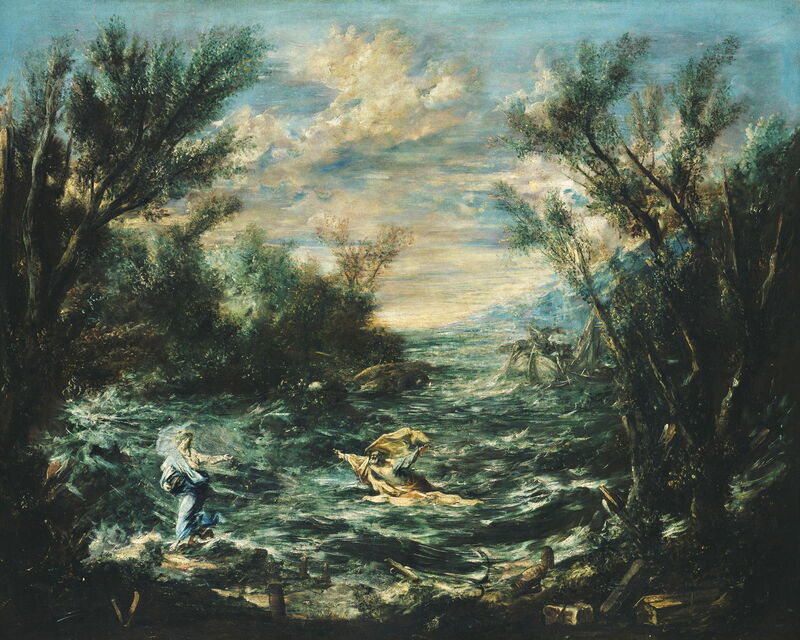 Courtesy of The National Gallery of Art. 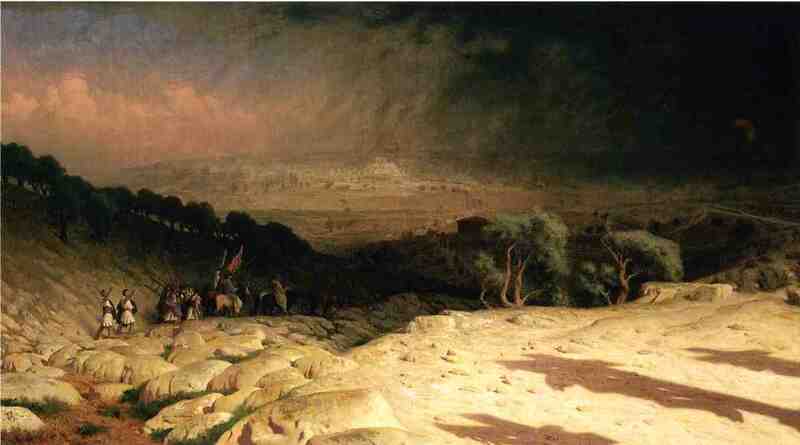 Jean-Léon Gérôme (1824–1904), Golgotha (Consummatum Est, or Jerusalem) (1867), oil on canvas, 81.3 x 146 cm, Musée d’Orsay, Paris. The Athenaeum. 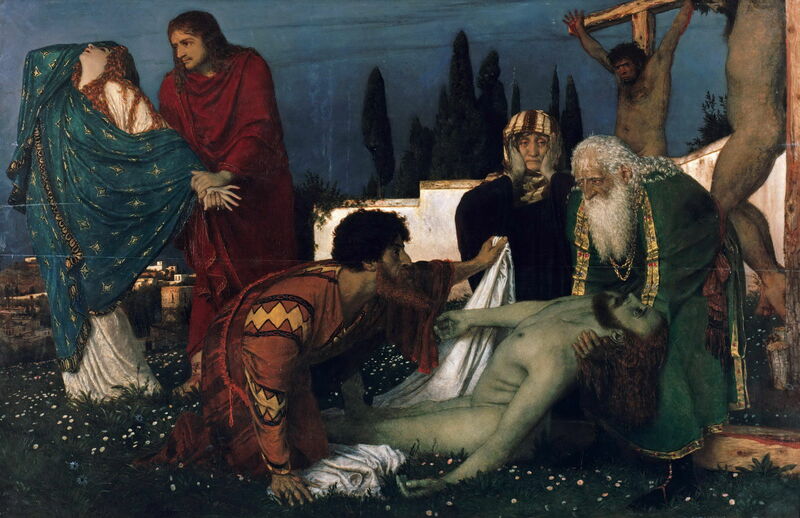 Arnold Böcklin (1827–1901), The Deposition (1876), tempera on panel, 160 cm x 250 cm, Alte Nationalgalerie, Berlin. Wikimedia Commons. 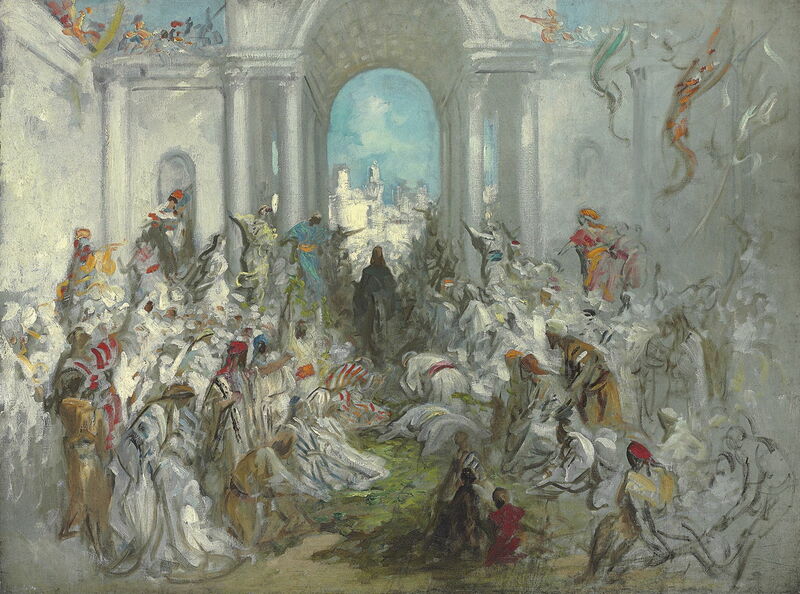 Gustave Doré (1832–1883), Christ’s Entry into Jerusalem (before 1876), oil on canvas, 98.4 x 131.4 cm, Private collection. Wikimedia Commons. 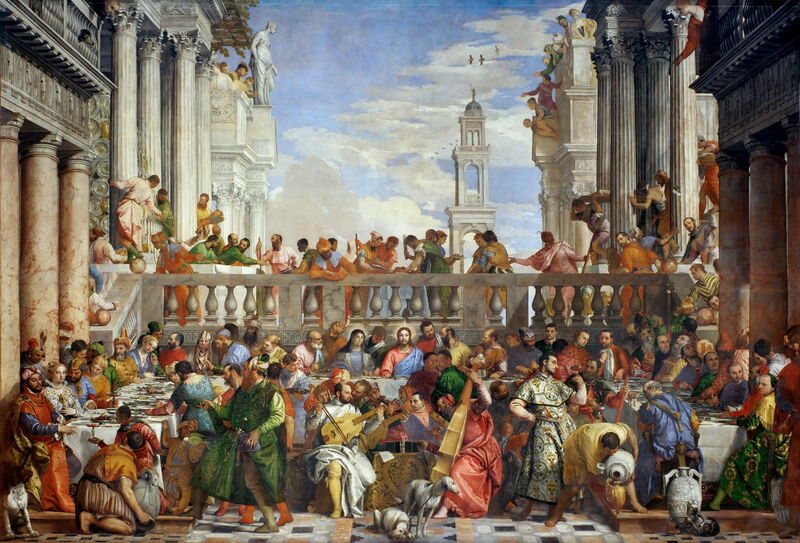 Paolo Veronese (1528–1588), The Marriage Feast at Cana (1562-3), oil on canvas, 667 × 994 cm, Musée du Louvre, Paris. Wikimedia Commons. 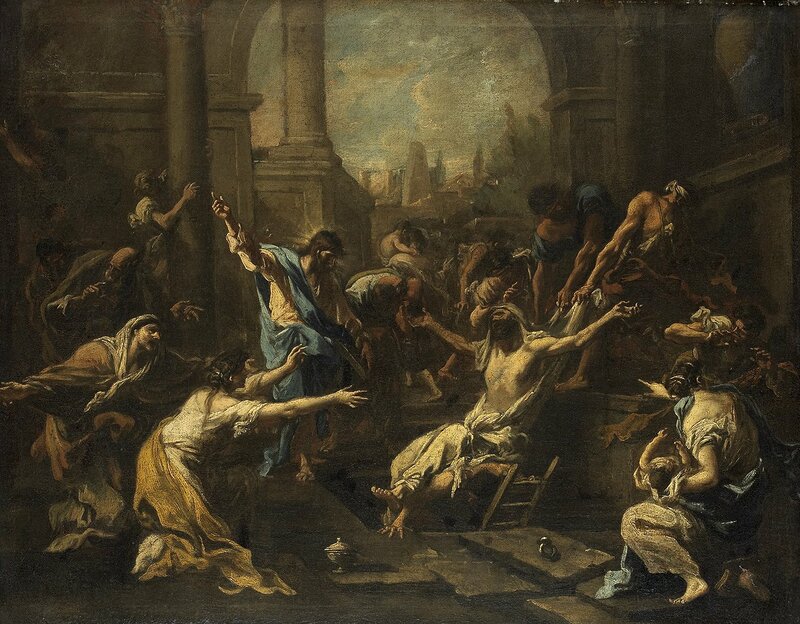 Alessandro Magnasco (1667–1749), The Raising of Lazarus (1715-1740), oil on canvas, 65.5 × 83.5 cm, Rijksmuseum, Amsterdam. Wikimedia Commons. 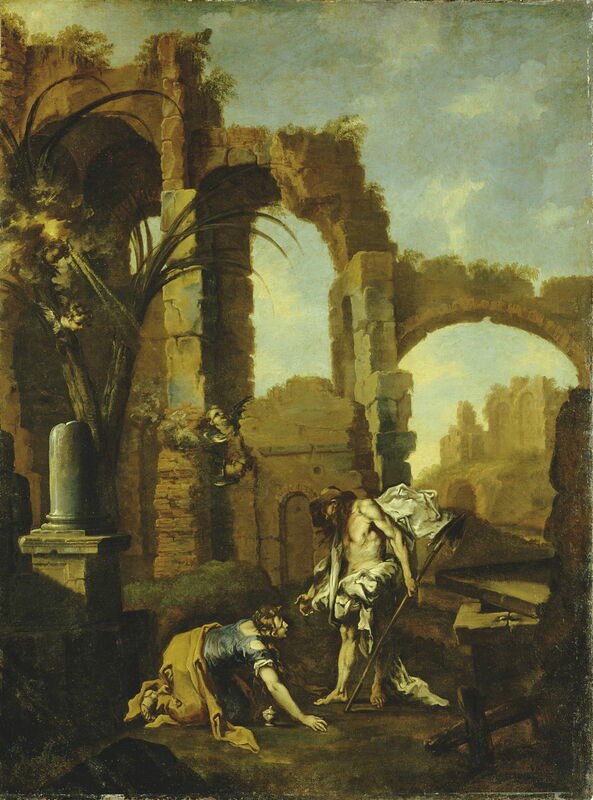 Alessandro Magnasco (1667–1749), Noli Me Tangere (1705-10), oil on canvas, 144.8 × 109.2 cm, The J. Paul Getty Museum, Los Angeles, CA. Courtesy of The J. Paul Getty Museum. 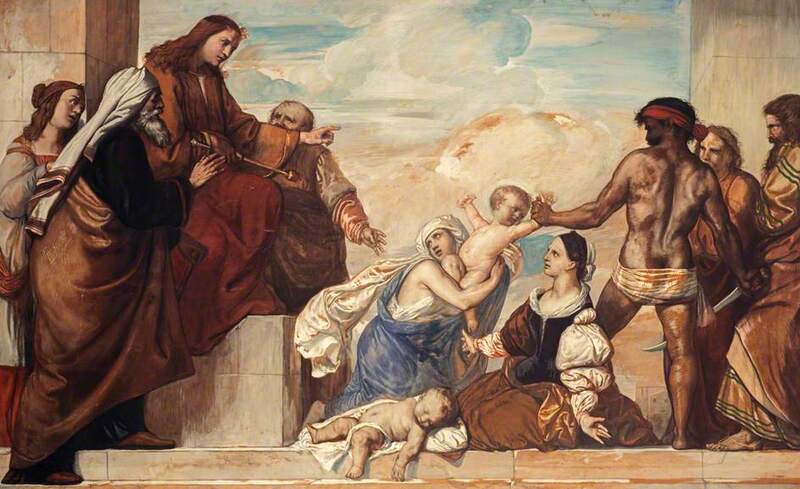 Paolo Veronese (1528–1588), The Supper at Emmaus (c 1559), oil on canvas, 241 × 415 cm, Musée du Louvre, Paris. Wikimedia Commons. 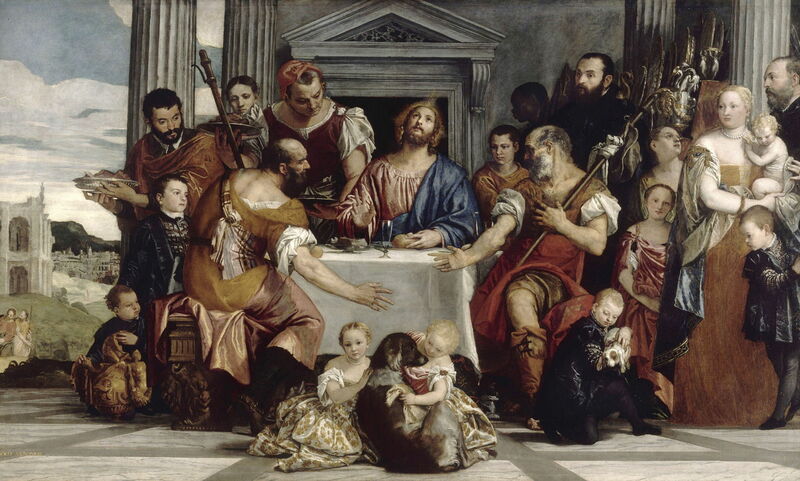 Paolo Veronese (1528–1588), The Last Supper (c 1585), oil on canvas, 220 x 523 cm, Pinacoteca di Brera, Milan. Wikimedia Commons. 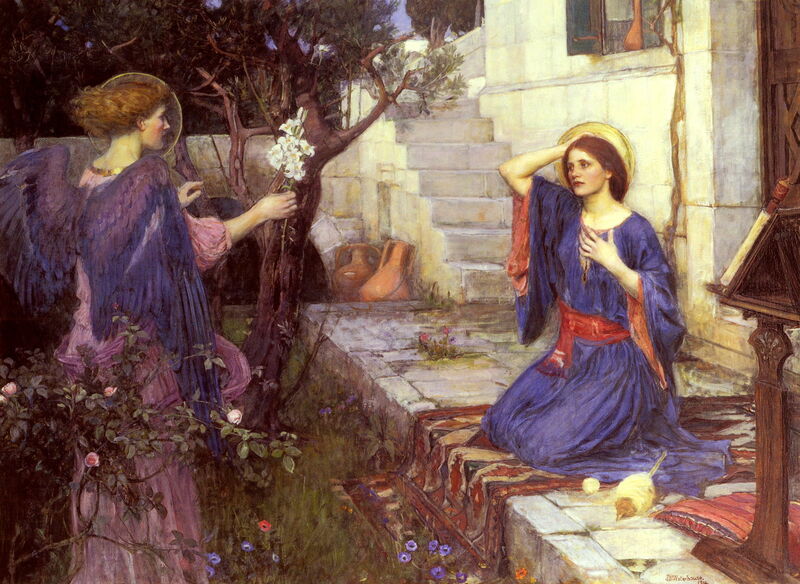 John William Waterhouse (1849–1917), The Annunciation (1914), oil on canvas, 99 × 135 cm, Private collection. Wikimedia Commons. Alessandro Magnasco (1667–1749), Christ at the Sea of Galilee (c 1740), oil on canvas, 118.1 x 146.7 cm, The National Gallery of Art (Samuel H. Kress Collection 1943.4.31), Washington, DC. 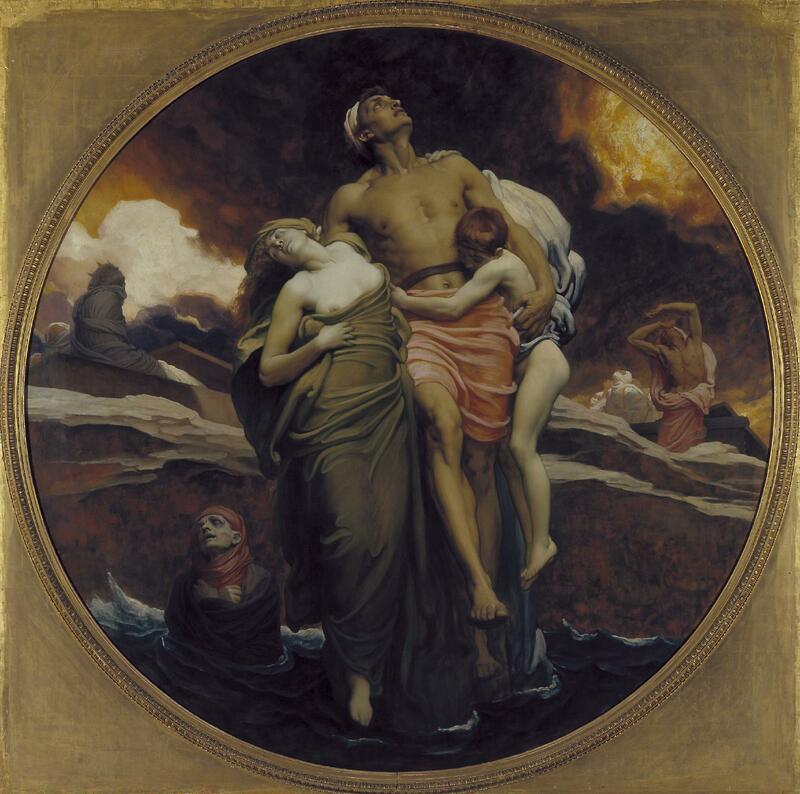 Courtesy of The National Gallery of Art. 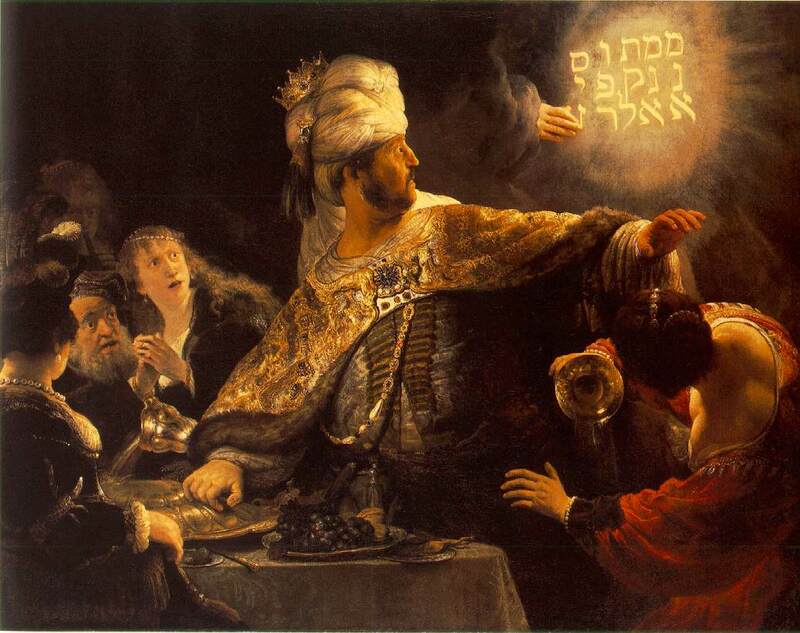 Rembrandt Harmenszoon van Rijn (1606–1669), Ahasuerus and Haman at the Feast of Esther (1660), oil on canvas, 73 x 94 cm, Pushkin Museum, Moscow. Wikimedia Commons. 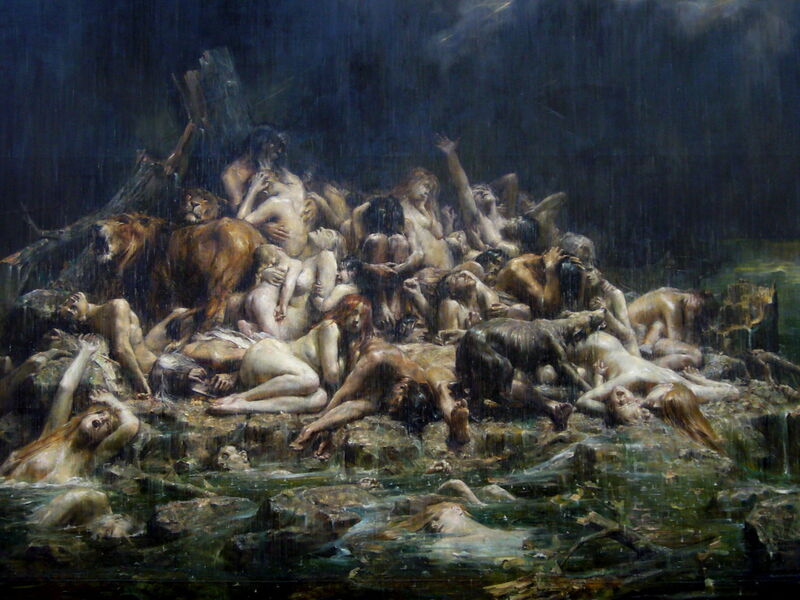 Léon Comerre (1850–1916), The Flood of Noah and his Companions (1911), oil on canvas, dimensions not known, Musée des Beaux-Arts de Nantes, Nantes, France. Wikimedia Commons. 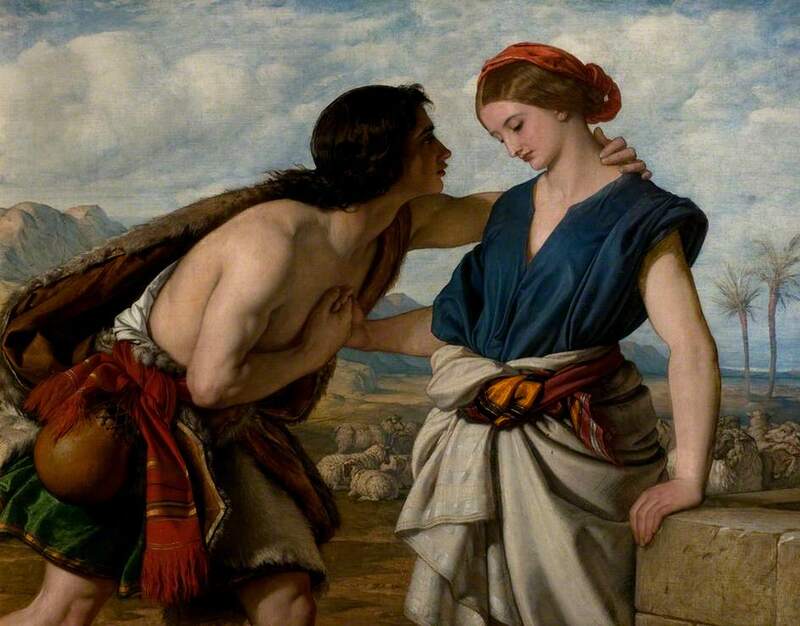 William Dyce (1806–1864), The Meeting of Jacob and Rachel (detail) (1850), oil on canvas, 70.5 x 91 cm, New Walk Museum & Art Gallery, Leicester, England. The Athenaeum. 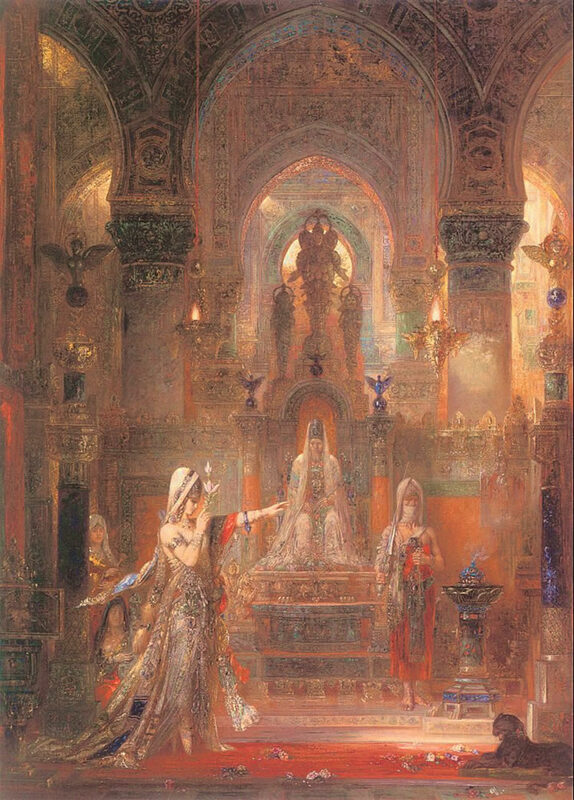 Gustave Moreau (1826–1898), Salome (1876), oil on wood, 144 x 103.5 cm, Armand Hammer Museum of Art, Los Angeles, CA. Wikimedia Commons. 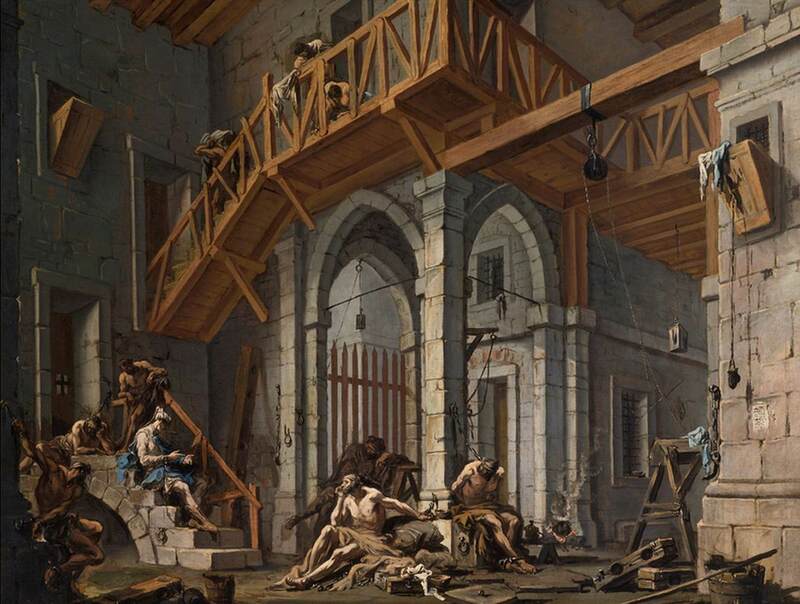 Alessandro Magnasco (1667–1749), Joseph Interprets the Dreams of the Pharaoh’s Servants Whilst in Jail (1726-31), oil on canvas, 134 x 177 cm, Private collection. Web Gallery of Art. 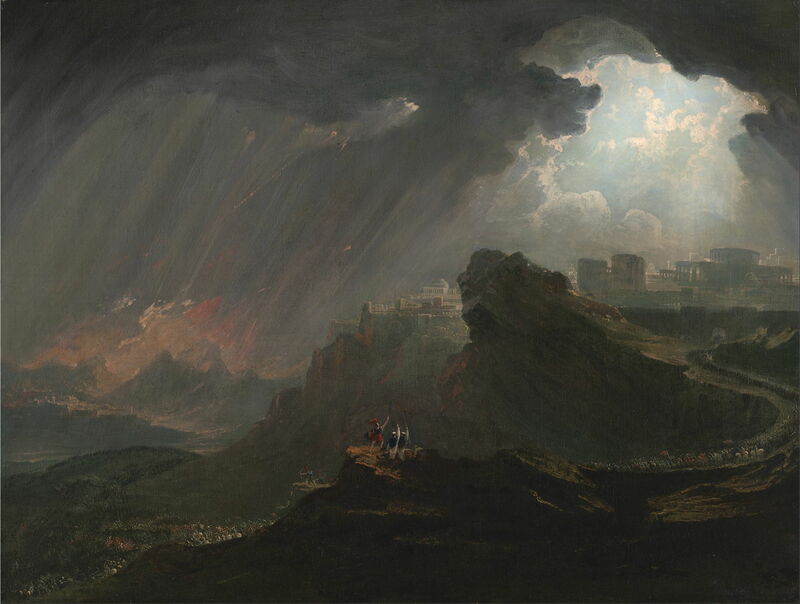 John Martin (1789–1854), Joshua Commanding the Sun to Stand Still (c 1840), oil on canvas, 47.9 x 108.3 cm, Yale Center for British Art, New Haven, CT. Wikimedia Commons. 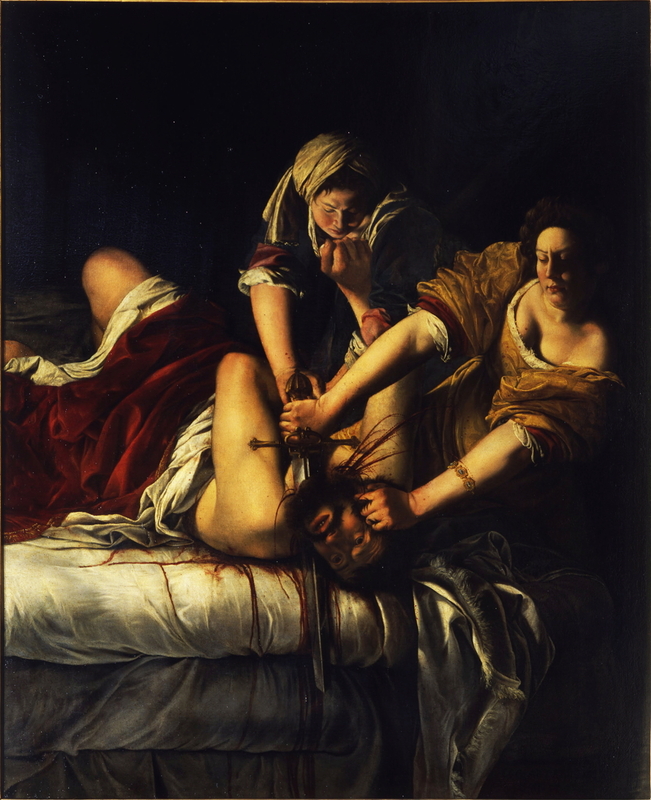 Artemisia Gentileschi, Judith Slaying Holofernes (1620-1), oil on canvas, 200 x 162.5 cm, Galleria della Uffizi, Florence. Wikimedia Commons. 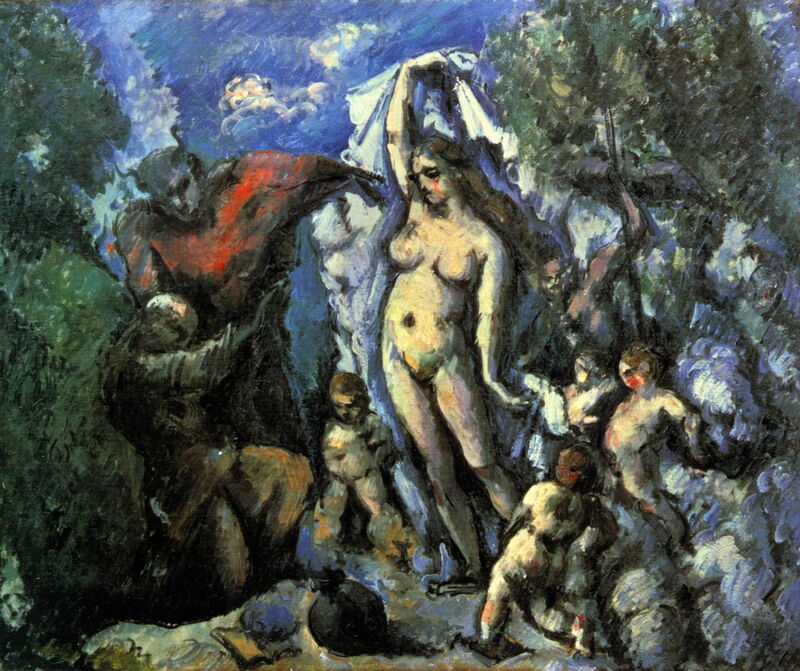 Paul Cézanne (1839–1906), The Temptation of Saint Anthony (c 1875), oil on canvas, 47 x 56 cm, Musée d’Orsay, Paris. Wikimedia Commons. 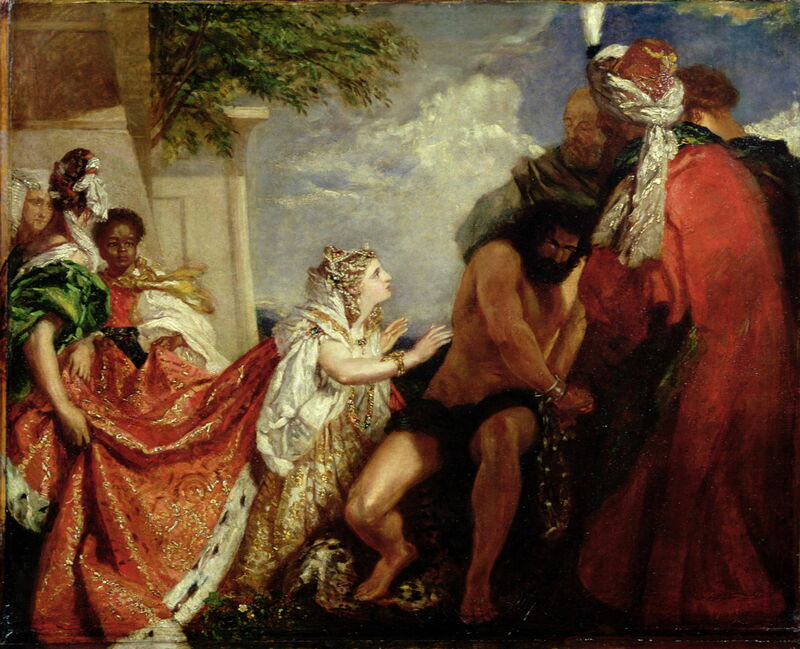 William Etty (1787–1849), Delilah before the Blinded Samson (date not known), oil on canvas, 72.4 x 90.8 cm, York Art Gallery, York, England. Image courtesy of York Museums Trust :: http://yorkmuseumstrust.org.uk :: Public Domain. 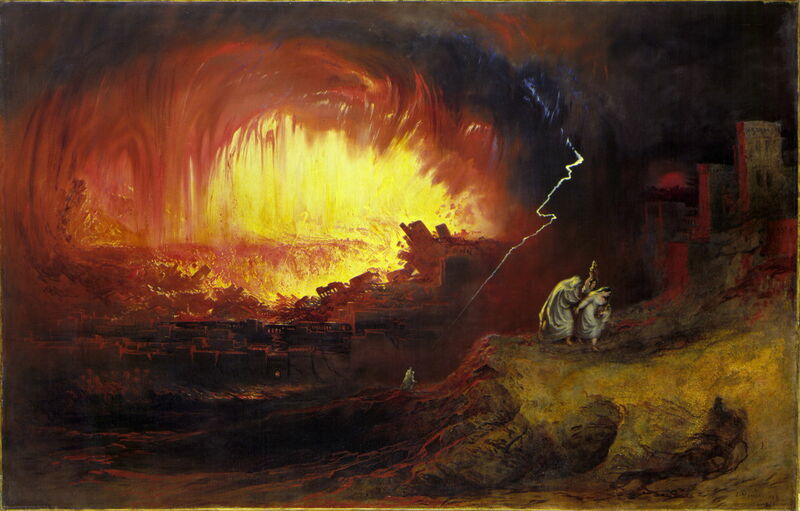 John Martin (1789–1854), The Destruction Of Sodom And Gomorrah (1852), oil on canvas, 136.3 x 212.3 cm, Laing Art Gallery, Newcastle upon Tyne, England. Wikimedia Commons. 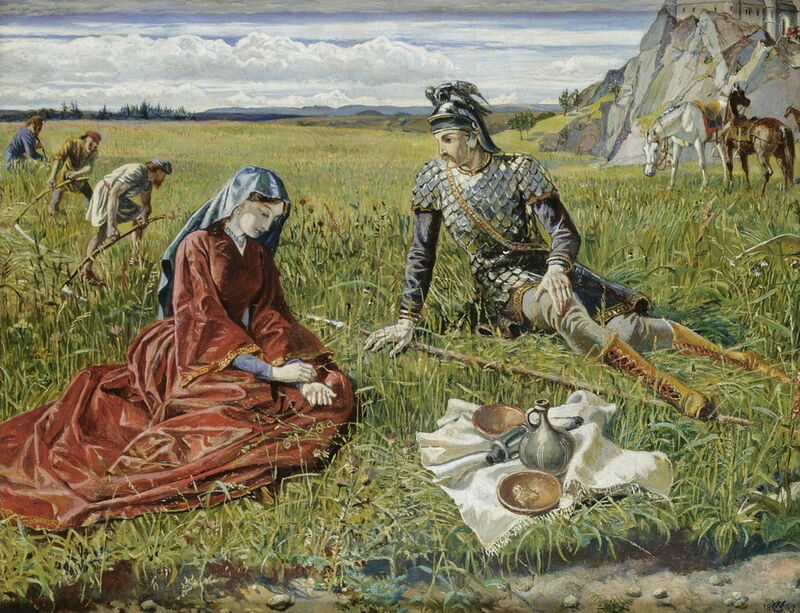 William Dyce (1806–1864), The Judgement of Solomon (1836), tempera on canvas, 151.2 x 245 cm, Scottish National Gallery, Edinburgh, Scotland. The Athenaeum. 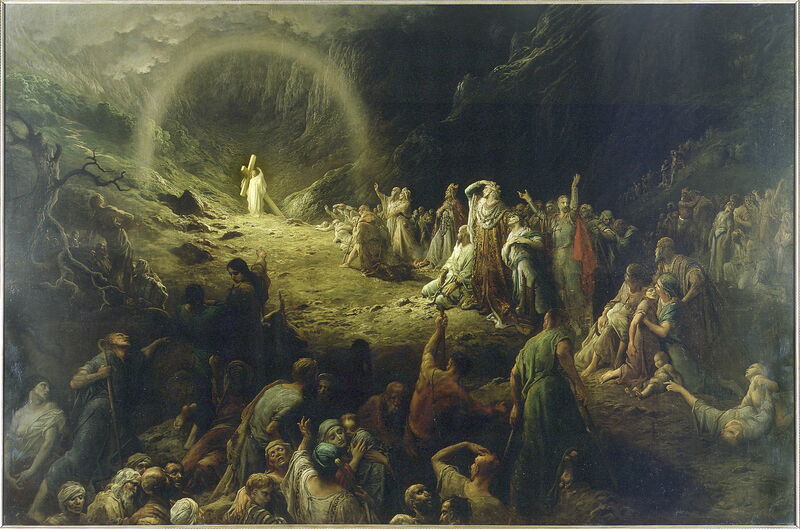 Gustave Doré (1832–1883), The Vale of Tears (unfinished) (1883), oil on canvas, 413.5 x 627 cm, Petit Palais, Paris. Wikimedia Commons. Posted in General, Language, Painting and tagged Bible, Biblical, Christ, index, narrative, painting, Saints. Bookmark the permalink.